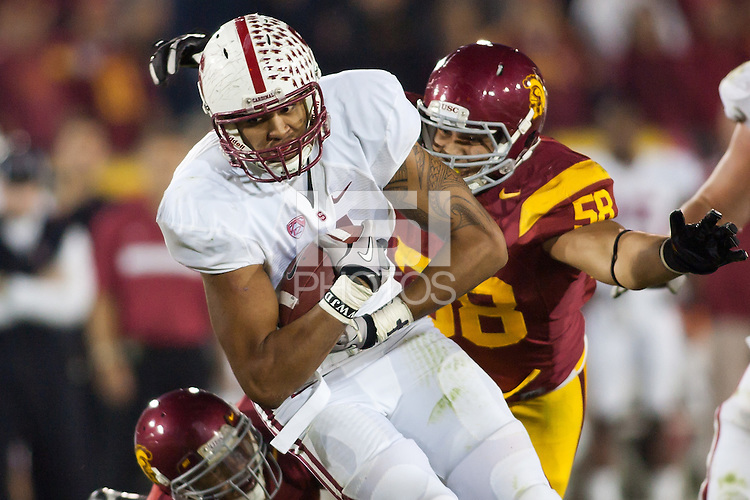 LOS ANGELES, CA-OCTOBER 29,2011- The Stanford Cardinals defeated the USC Trojans 56-48. Levine Toilolo (11) during play against USC at the L.A. Coliseum in Los Angeles, CA.